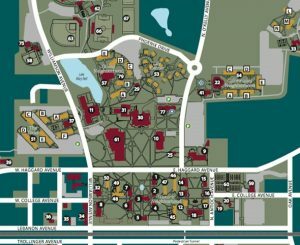 A Google map with extensive search features, locations of personnel, departments and campus parking, plus photos and descriptions of all campus buildings. 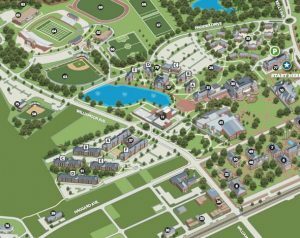 This map is optimized for viewing on portable devices. 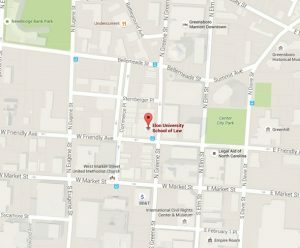 A Google map with directions to Elon Law’s downtown Greensboro, N.C., campus. 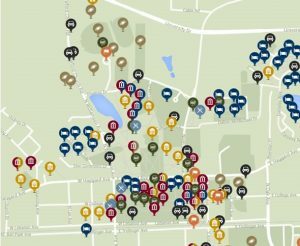 An interactive map of the 125 trees included on a 1.25-mile walk located within the core of Elon University’s campus. 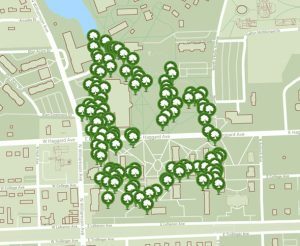 The walk takes 90 minutes to complete, and the trees on the trail are identified by sequentially numbered plaques that correspond with the numbers on the map.